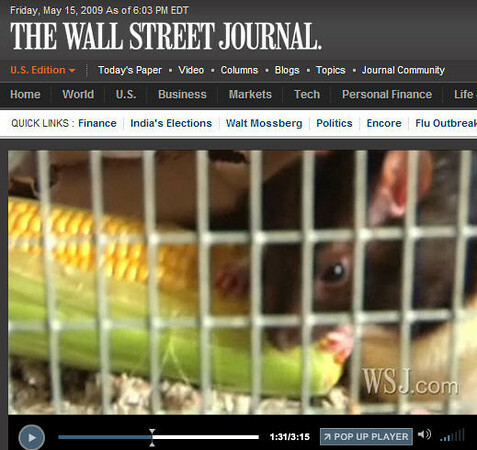 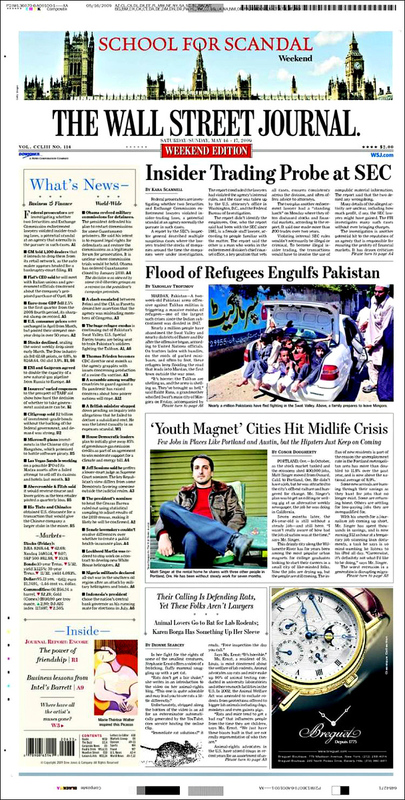 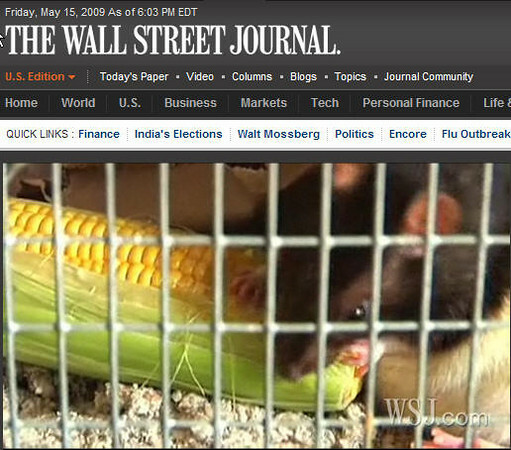 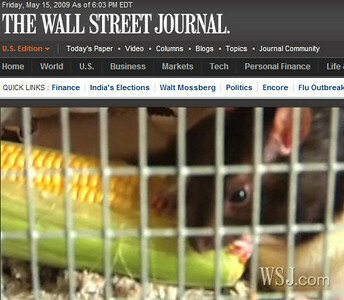 Yes, rats on the front page of the paper, and in a major video report, of the Wall Street Journal! 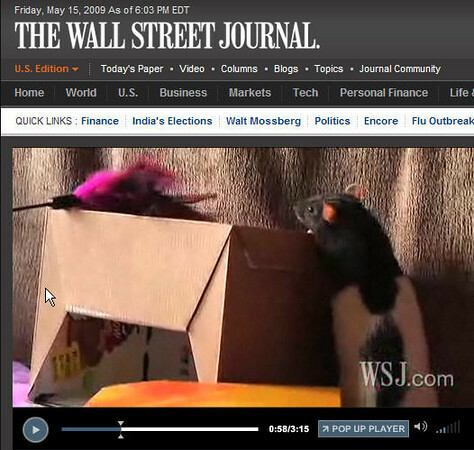 Karen Borga's seven adopted lab rats: Sevenee, Levenee, Eight, Tennie, Twentefour, Therdifour, and Therdyeight, named after their lab numbers, are very special rats. 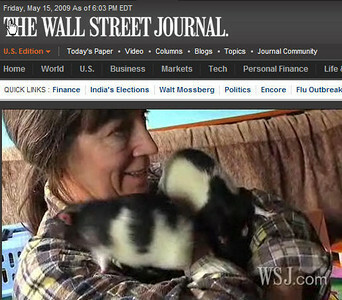 Three of them, along with Karen, are stars in the Wall Street Journal, Front Page video, May 15, 2009, entitled, “One Woman's Fight for Rodent Rights”, by Dionne Searcey, which highlights Amber Alliger's work “to shed prejudices against rats”. 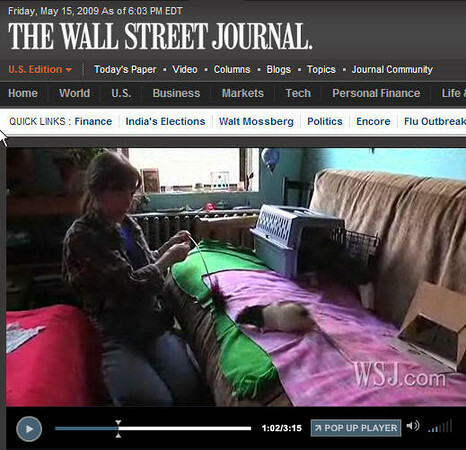 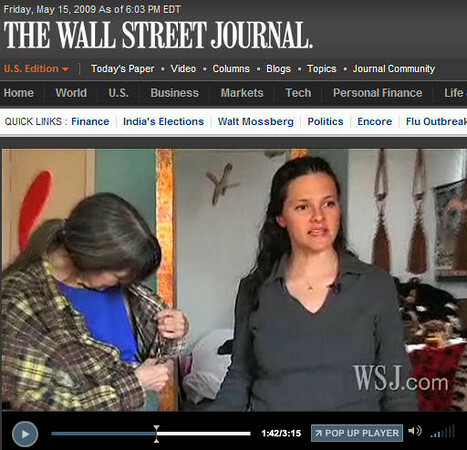 Here is the direct link to the video: http://online.wsj.com/video/one-woman-fight-for-rodent-rights/8372A212-5B3E-4E10-BDC5-D71D9FD2EED9.html. 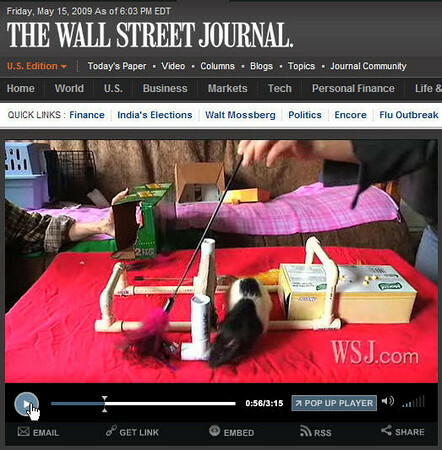 Karen, Amber, and the Number Kids are also featured in an article on the front page of the hardcopy Wall Street Journal which seeks to expose the current inadequate care standards for laboratory research rats. 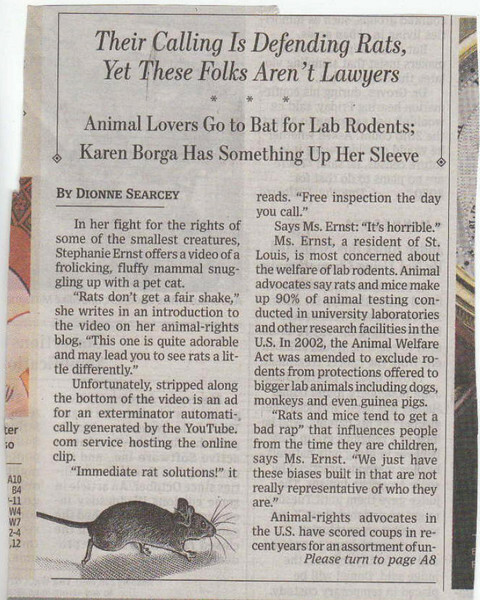 The newspaper intices its readers with a now-famous caption, “Karen Borga Has Something Up Her Sleeve.” The full narrative is on-line as a Front Page Wall Street Journal article, May 16, 2009, entitled, “Their Calling Is Defending Rats, Yet These Folks Aren't Lawyers”. 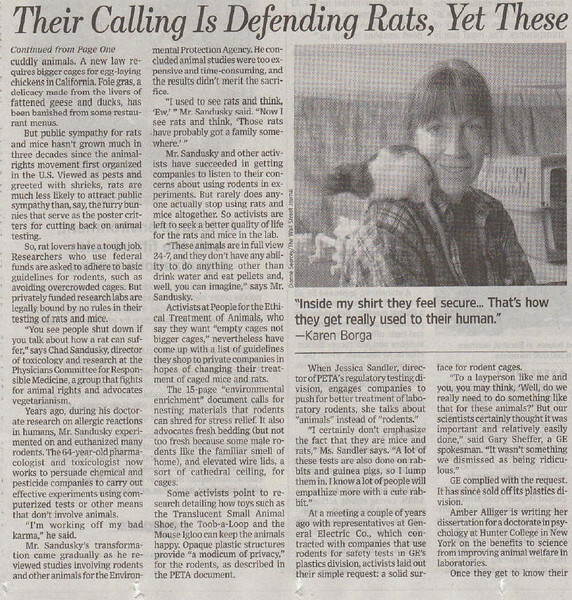 Karen's seven adopted lab rats: Sevnee, Levnee, Ate, Tennie, Tweneefor, Therdyfor, and Therdeeate, named after their lab numbers, are very special rats. 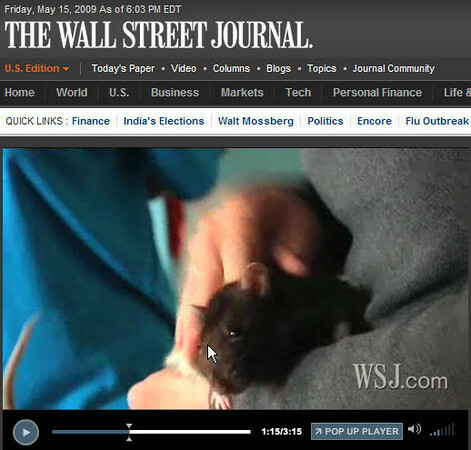 Wall Street Journal - Pet Rats are stars to the entire world. 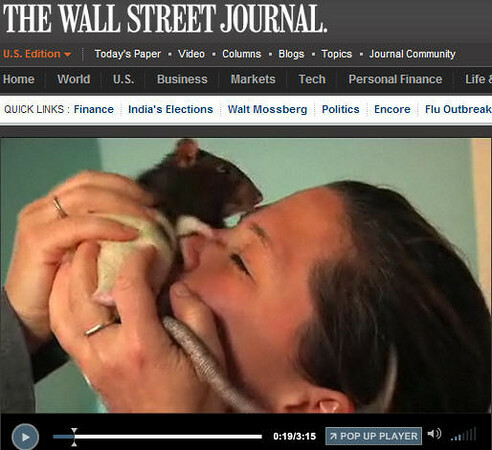 Karen Borga's Number Kids enjoy fame in Amber Alliger's video interview about adopted lab rats. 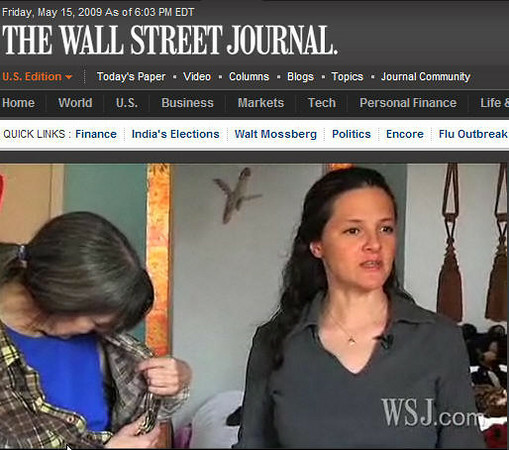 If you are viewing this on the keyword page, click to go to the gallery and view lots of information from the Wall Street Journal, including the link to the WSJ website for the video, the front page newspaper article, a photocopy of the article itself, and snapshots galore. 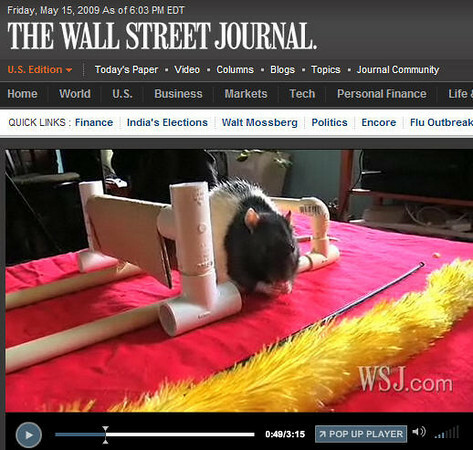 Pet Rats are stars to the entire world. 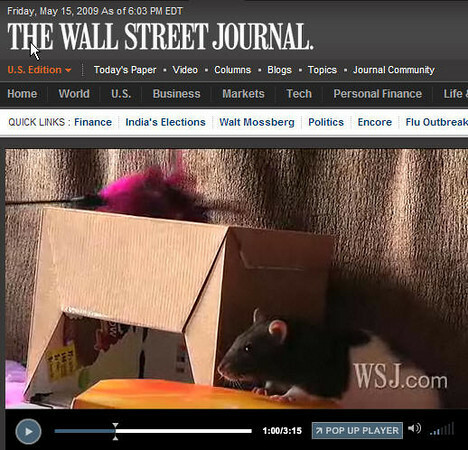 Karen Borga's Number Kids enjoy fame in Amber Alliger's video interview about adopted lab rats.